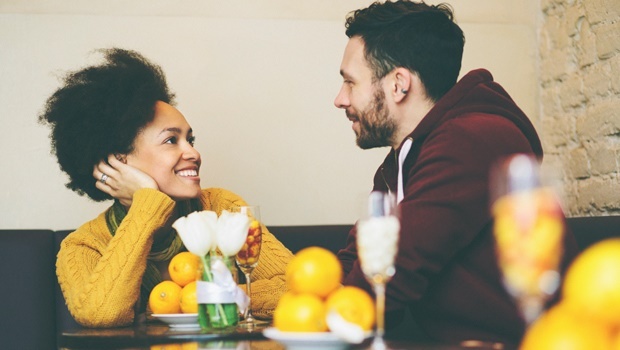 Home / Relationships / 8 Modern dating slang terms you didn’t know "#Tuning, #Ghosting, #Haunting, #Sus, #DTR, #Layby"
8 Modern dating slang terms you didn’t know "#Tuning, #Ghosting, #Haunting, #Sus, #DTR, #Layby"
Ghosting, breadcrumbing and tuning – what do they all mean?! In the age of social media, keeping up with dating slang can be hard since things change constantly. Words or terms that mean one thing today, could easily mean something else by tomorrow. But, don’t worry, we’ve got you covered. This is what I like to call “keeping someone op ‘n lyntjie”. It’s when someone responds to your texts or advances just enough to make you feel like there could be love in a hopeless place, but meanwhile they’re just keeping their options open. When you go and like ALL your crush’s Instagrams, tweets, facebook posts, snapchats (and anything else you could possibly like) in a bid to get them to notice you and possibly like you. If bae suddenly stops calling, texting, or any communicating with you on any form of social media without a word and just begins to ignore you completely, then you, my friend, have just been ghosted. Probably the opposite of ghosting, this is when someone (most probably your ex) still hangs around your social media without actually interacting with you. They’ll like a tweet or view your Whatsapp status or Snapchat, but they won’t actually talk to you. It can sometimes be a painful reminder of what could have been. When you go from relationship to relationship without giving yourself a bit of time in between. It’s like monkeys swinging from tree to tree without a pause. You’ve been vibing for months and things seem to be going well, but you’re still not sure if this is serious or not? Then it’s time to DTR or Define The Relationship. This is when someone is already in a relationship, but they’re texting another person and keeping them interested because they’re not really happy in said relationship and need a way out or back up plan so that they’re not alone when their relationship goes bust.